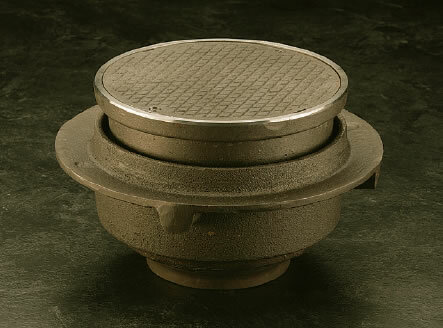 9735 Adjustable Top, Scoriated Cover & Closure Plug - Jay R. Smith MFG Co.
Used in floors where a solid cover and internal gasketed closure plug are required. Internal plug prevents sewer gas from escaping into building. 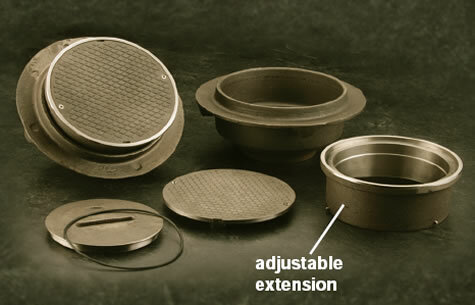 Adjustable top collar permits accurate position of top cover to meet finished floor. CF8 (Equivalent to Type 304) Rough Finish Stainless Steel Body, Adjustable Top, Secured Scoriated Cover and Gasketed Stainless Steel Closure Plug.